Here is a collection of cat songs. Some are oldies but goodies, others are newer. As we find more sings about cats they will be added. Les Petits Chanteurs a la Croix de Bois is really a most enjoyable piece of music. It was composed by the Italian composer Gioachino Antonio Rossini (February 29, 1792 – November 13, 1868). He deservingly became one of the most popular opera composers in history. 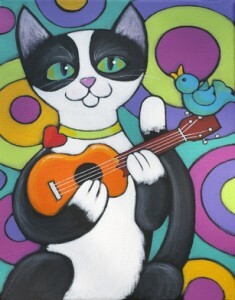 Rossini has often been called “The Italian Mozart.” In “Comic duet for two cats” cat and music lovers will absolutely love the meowing up and down the scales. The American musician and songwriter, Louis Knox Barlow (born July 17, 1966) has an excellent performance of Ballad of Daykitty. If you are not yet acquainted with this piece of music, you as a cat lover may very well be in for a pleasant surprise. The American Rockabilly band “Stray Cats” was formed in 1980 are an American Rockabilly band formed in 1980 by guitarist/vocalist Brian Setzer, bassist Lee Rocker and Slim Jim Phantom (drums). One of the hit singles in the UK, Australia and the U.S. was “Stray Cat Strut”. “The Cat Came Back” is an old popular folksong written by Harry Miller in 1893. Since then there have been made many versions of the song. It is a story about Ole Mister Johnson who had a cat he was trying to get rid of, but the cat kept coming back. There are many verses in this song. No matter what happens, this cat certainly does not give up. The cat came back, he just wouldn’t stay away. The Rooftop Singers was a popular American folk singing trio in the 1960’s. Erik Darling, Bill Svanoe and Lynne Tayler were the three members of the group. Their great hit was “Walk right in”. They also performed the cat song “Tom Cat”. If you love music from the good old sixties, you may consider adding “Tom Cat” to your cat song collection. In and out cat song is a wonderful song. Anyone who has an indoor – outdoor cat can easily relate to this song. It really describes what it is like to actually be your cat’s butler. Your cat is the boss for sure! The only solution may be to install a cat door. The Amazing Cat is a children’s song about a boy and a beautiful, huge black cat. The British rock band Queen formed in London in 1971 has a totally awesome song called Delilah. Delilah is a song devoted to and about Freddie Mercury’s tortoiseshell cat. Delilah is a track on Queen’s thirteenth studio album, Innuendo (1991). This was the last to be released while lead singer Freddie Mercury was still alive. Mercury died November 24, 1991. Delilah is absolutely precious. If you haven’t heard it yet, you are really in for a treat! The American Folk singer, Norma Cecilia Tanega (born 30 January 1939) wrote a loveable song called “Walkin’ my Cat Named Dog” It made the #22 on the U.S. Billboard Hot 100 chart in 1966. It made the top of the list in London. This delightful song should be in every cat lover’s music collection! This is a cat song that really sticks in your head. You will find yourself singing it for days. 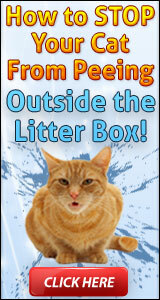 You just might want to start walking your own cat! The musical named Cats is an all-time favorite! The musical is composed by Lloyd Webber. Webber based Cats on Eliot’s Old Possum’s Book of Practical Cats (1939). Lloyd Webber has on several occasions revealed this book was a favorite during his childhood. Cats had its premiere performance in the West End at the New London Theatre on 11 May 1981. The musical was soon to become a global sensation and remains so to this day. The Naming of Cats (see kitty cat names), Mr. Mistoffelees, Memory – just to name a few. “Jellicle” is a black and white cat. We also have the famous or infamous song “Smelly Cat”. It all depends on your taste of music – and your preferences in TV series. Fans of “Friends” do enjoy this cat song.